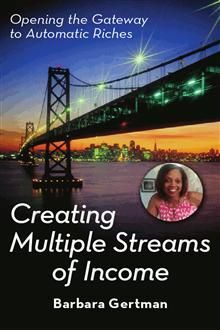 This eBook is going to introduce you to the concept of multiple streams of income, show you how to establish them for yourself, how to maintain and build them, and even give some real world examples of online success. When you are done reading this book you can use the examples given to begin setting yourself on the path to success and to create your own business. How is so much possible? Give thanks to the Internet for this unique opportunity. While people were once pretty limited in the types of primary businesses and "side lines" they could offer, the Internet really opens the door to an impressive range of income streams. What are they? Well, that is the subject of this eBook!